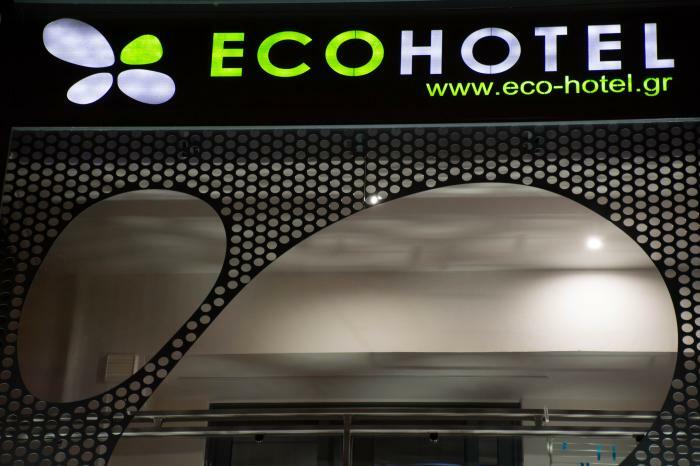 ECO Hotel is the first Eco-friendly hotel in Paralia Katerini certified with a greenkey. 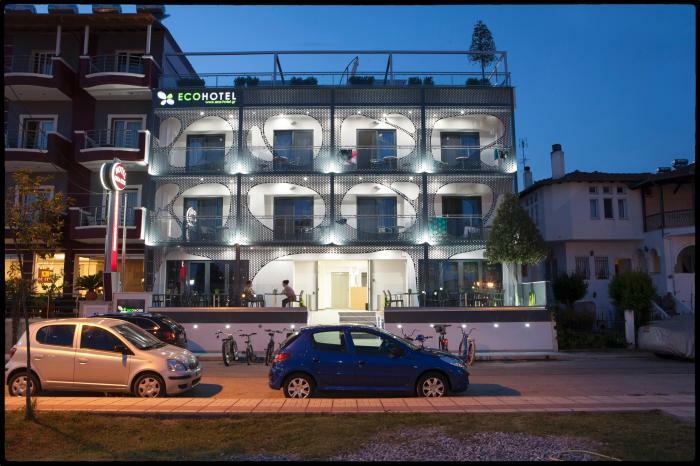 It is located in Paralia Katerini, just 60km away from Thessaloniki in front of a little park in a very quiet neighborhood. Each room is equipped with A/C, flat screen Satellite TV, DVD & CD player, water boiler and offers room service throughout the day. Every room has its own bathroom with shower, amenities and slippers. The anatomic Cocomat mattresses will make sure you have a comfortable sleep. WiFi is available in the entire building. Our guests have access to the Hotel's lounge, a Barrel-Sauna, wooden Jaccuzzi and a fitness room. 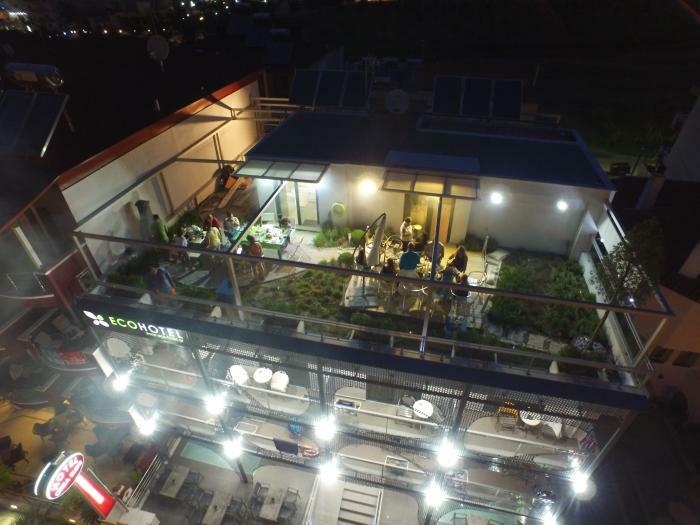 You can enjoy a beverage at the Roof Garden with view to imposing Mount Olympus. 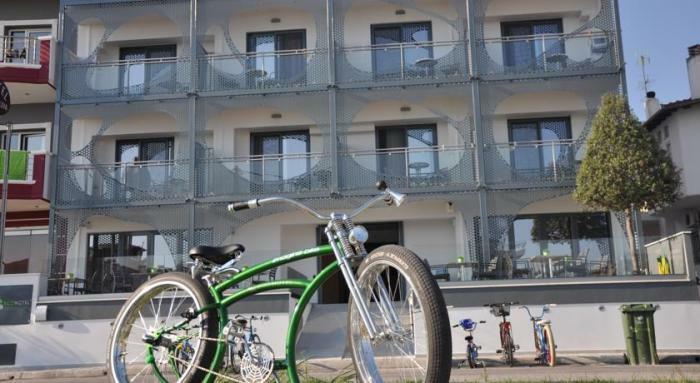 Enjoy a free ride with the entirely handmade bicycles of "Inox Imagine Custom Bikes" till the beach which is only 150m from the Hotel, or the center of Paralia which is about 400m.